Sorry Nipper, did not receive email was an old one .I have updated my profile with new email address if you can resend .Cheers Cambo. Yes that is correct i had a 1976 honda ct 125 ,had the same issues, they dont have their own exciter coil in the ignition so the 6v battery just gives it a jumpstart so to speak .Hope that helps. 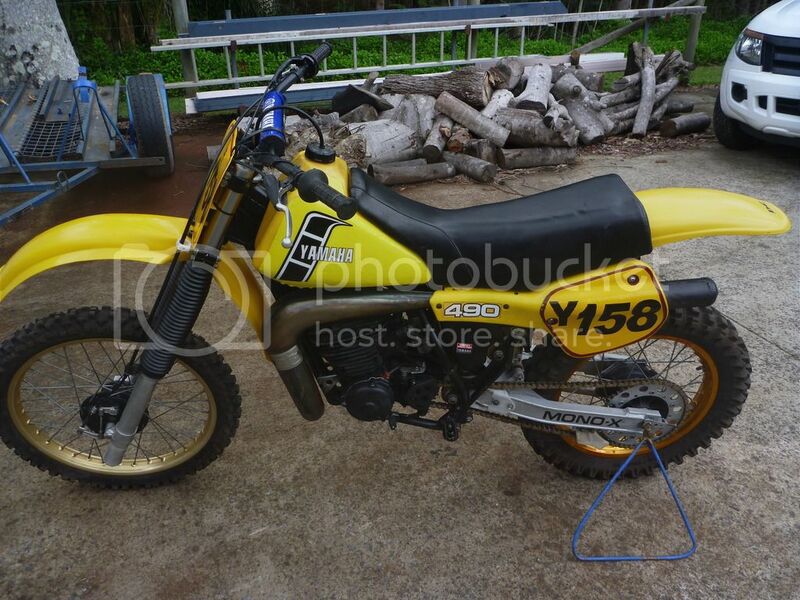 Hi am interested in yz 250 h forks and triple clamps also rear shock if still available.Where are you located ? ph 0488098168 Cameron. Hey guys ,sup regs for triple crown of mx at harrisville can be found and entered on, www.nominate.com ,hope that helps. Was looking for second hand ,but a new one might be worth checking out for price. 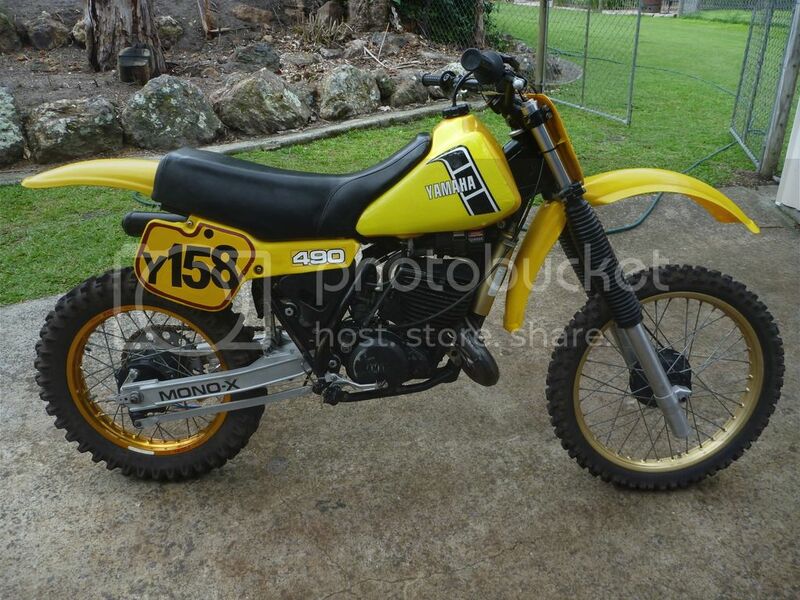 Hi ,anyone out there got a Yamaha 75/76 mx/yz rear monoshock they might like to sell, it is for an mx 250 b but as far as I know they are all the same if it is b or c models 360/400 mx or yz . Or if anyone knows what else will fit,or looking for more travel ,or a better setup, any help would be appreciated. 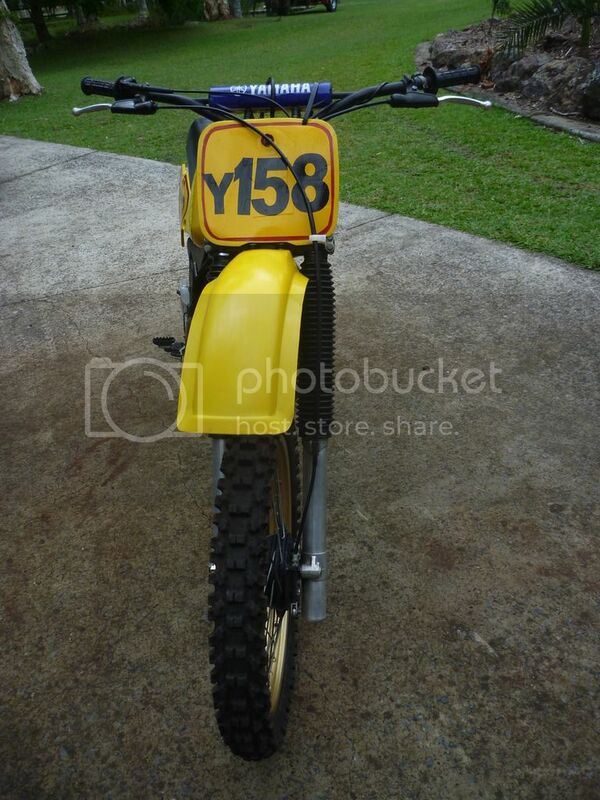 Hi Guys, I am putting my '82 YZ 490 J up for sale. I have had it for about 3 years and have done a full resto including new rear wheel, sprockets and chain, top end re-build, 3rd O/S piston, modified squish band. All original plastics except DC rear guard. All suspension re-built with DG pipe and original silencer. This bike is race ready and has always passed scrutineering. Have used it for only 5-6 meetings and has performed well. Asking $3500. Located in Brisbane. Ph 0488098168. Tech Talk / Re: How can i remove dents froman aluminium fuel tank. Well its a race bike so it might stay like it is or be bogged, as it does have a crease on a top corner. Tech Talk / How can i remove dents froman aluminium fuel tank. Hi guys does anyone have any ideas on removing dents from an aluminium fuel tank.I have seen the cut and shut method done but was hoping for easier way ,I have a 75 mx 250 b.